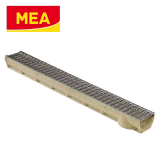 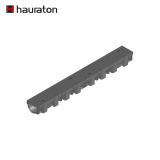 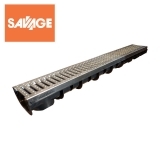 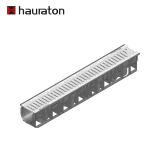 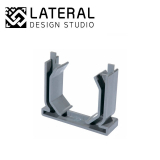 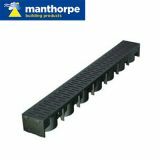 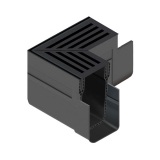 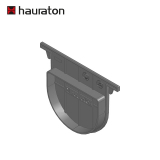 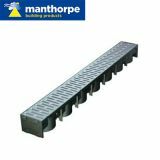 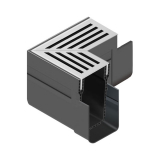 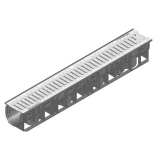 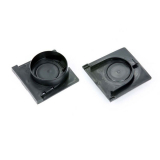 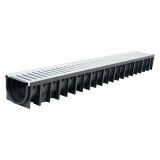 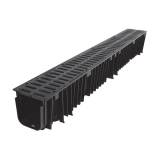 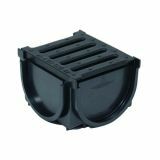 A15 channel drains are designed for pedestrian use and use as pavement drainage, driveway drainage and garden drainage as they can hold a maximum of 1.5 tonnes of weight. 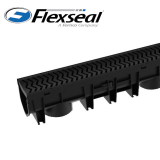 Driveway drainage is extremely important as any water that ingresses to your garage or house can cause expensive mould, condensation and damp issues. 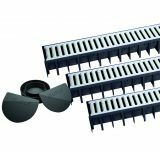 A lot of driveways in the UK are sloped slightly downwards towards a property, but even if the driveway is flat it benefits the homeowner to have driveway drainage.  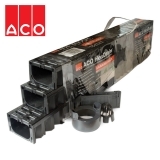 Installing a thin, discrete line of drainage across the threshold where the driveway meets the home, garden or garage is required where a driveway slopes into the property. 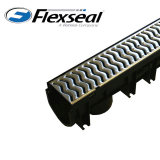 If a driveway’s slope means that water will run on to a public highway or path, adequate drainage must be installed to ensure that this is contained as much as possible. 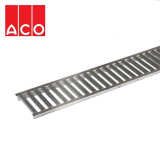 Pedestrian channels are best placed to protect the public. 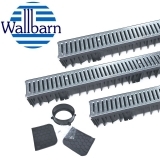 For gardens, a lack of drainage can mean that a garden is easily flooded or areas that may be sunken, such as patios or decking, could be overrun with pooling water. 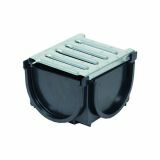 It's important not to underestimate the importance of garden drainage if you're in the throes of a renovation as it will be costly, extremely inconvenient and messy to dig up what you've done to retrofit garden drainage. 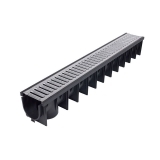 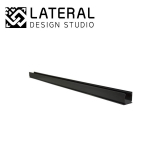 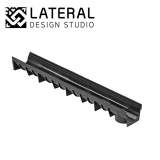 Driveway channel drains and garden drainage channels are designed specifically to be thin, aesthetically pleasing and as non-intrusive as possible. 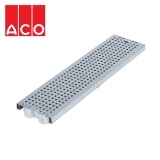 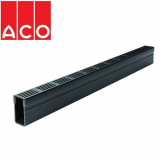 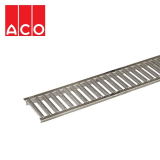 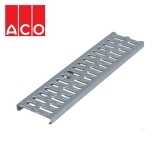 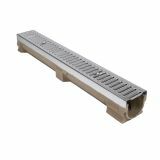 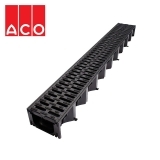 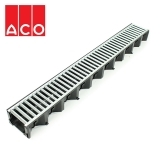 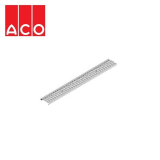 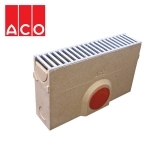 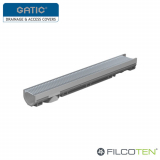 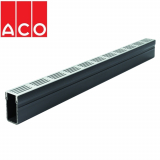 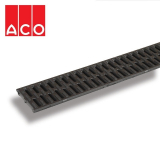 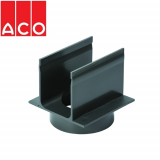 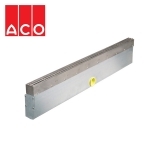 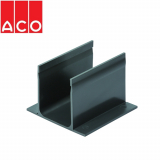 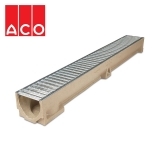 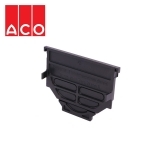 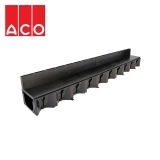 ACO drainage channels for example can be customised with a range of attractive gratings so that a home exterior can be complemented. 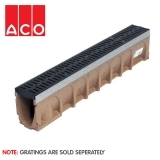 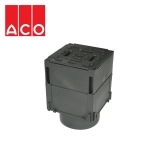 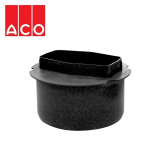 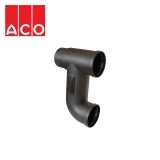 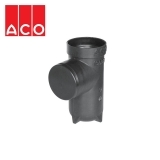 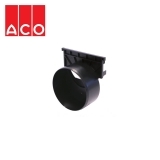 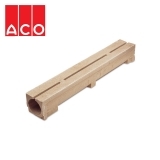 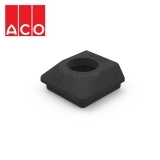 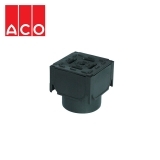 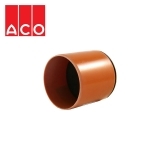 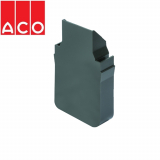 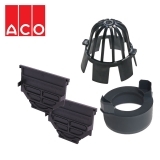 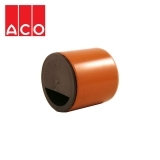 Opting for something like ACO Threshold channel drain means that only 60mm of drainage is visible, reducing the impact of driveway drainage whilst still complying with any planning rules and regulations. 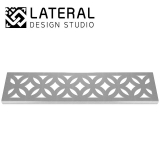 Decorative channel grates vary from more simple, nicely finished designs to intricately design cast iron grates. 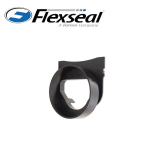 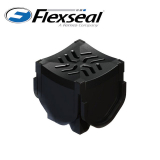 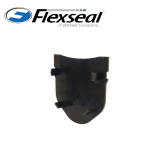 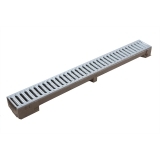 Brands such as ACO, Dek-Drain, Flexseal and Clark-Drain all offer attractive and comprehensive channel drains that can often be customised with better looking grates for that all important door-step appeal. 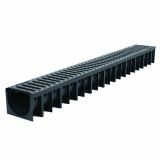 Give us a call if you need any support in choosing driveway drainage for a property.